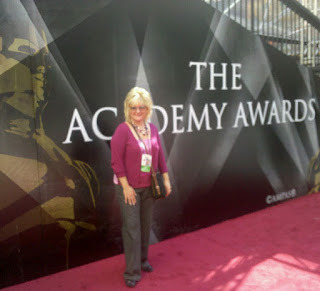 This is the tenth column in a weekly series, counting down to Oscar Sunday on Feb. 26, 2012. Formerly a newscast director who went from passionate fan of films, trailers and posters, to full-time, official movie geek, Oscar Week has become my new Christmas Eve. 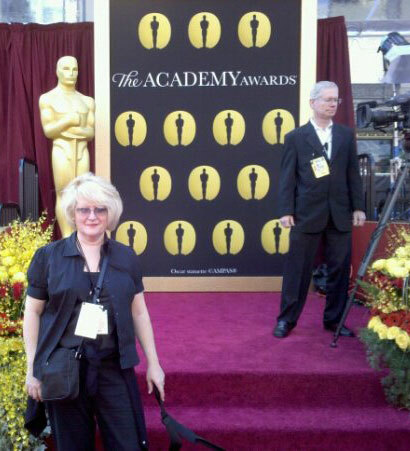 The annual march by the critics, blockbusters and festivals always ends at the door of the Academy Awards. I’m proud to say that I’m a third-generation Oscar lover. I listened to my grandmother’s stories of when it was broadcast on the radio until they were first aired on TV in 1953. My mom would stay up late where we lived in Connecticut, when it was broadcast in April, until past midnight. The Academy Awards is a generational thing for the women in my family. I can’t remember a time when I wasn’t talking about or watching the Oscars. In grade school when I first saw and heard the epicness that is David Lean’s “Lawrence of Arabia,” William Wyler’s “Ben Hur” and Victor Fleming’s “Gone with the Wind.” I was utterly enamored by these Hollywood masterpieces and their grand scores. From then on, I’ve subscribed to the notion the more large-scale a picture is, the more it’s deserving of that Best Picture win. I was thrilled when Ridley Scott’s “Gladiator” took home the gold at the 73rd Academy Awards. McCue at the 84th Academy Awards, 2011. I saw “Jaws” in the summer of 1975 and recall being told months later by my mom that it had been nominated for a number of Academy Awards. In what would ultimately become my favorite movie of all time, I was allowed to stay up that night to watch the show to see if it would win Best Picture. Though it lost to “One Flew Over the Cuckoo’s Nest,” I’ll never forget watching a woman (Verna Fields) win an Oscar — not in an acting or makeup or costume category – but for Best Editing! I was in high school when I saw “Chariots of Fire” in the theater and before the credits rolled, I knew it would triumph over the presumed winner “Reds” at the 54th Academy Awards on March 29, 1982, in the Dorothy Chandler Pavilion. A nail-biter to the end, I still felt deep down, even after “Raiders of the Lost Ark” won Best Editing (Michael Kahn) and Warren Beatty took Best Director for “Reds,” that all my talk about this little British film would be vindicated. To hear Loretta Young say, “Ladies and gentleman, the winner is ‘Chariots of Fire,’ ” combined with a roar of applause from the audience, will forever be my favorite Oscar moment. It’s still the granddaddy of all the awards shows. No matter how flummoxed the pundits become by the snubs or horrified by the “it-didn’t-deserve-the-Oscar” wins, the Academy Awards is still the biggest night in Hollywood. It’s not decided on by mob rule. It’s not the People’s Choice Awards. IT’S THE OSCARS! Granted they’ve had their share of snafus — the Rob Lowe/Snow White debacle or the ill-choice of awarding the Oscars down in the audience to the embarrassment of the winners in the hopes of saving time. But the Oscars are still the gold standard by which all others hope for but never will be. McCue at the 83rd Academy Awards, in 2010. His serving five times as host still ranks as No. 1. Something about having the late-night, talk show host — whom we invited into our homes at 11:30 p.m. every night — really connected us to Hollywood. It was a time when the Oscars were still the biggest, must-see show of the year and water-cooler talk the following day. The irony of his first time as host at the 51st Academy Awards, Carson opened with, “Two hours of sparkling entertainment spread out over a four-hour show.” Even in 1978, they were snarking about the running time. In some respects, it’s a year-round ride now. I’ve always been an avid watcher and celebrated the Oscars as a “High Holy Day” — viewing parties included. The obsession went into full gear after I went from working in TV news to contributing to a movie news site. “We Are Movie Geeks” has been given Oscar credentials these past few years now, with the opportunity of covering the Red Carpet and the various symposiums. Being granted “day of show” privileges has been amazing and I see the Academy Awards from an extraordinary perspective that I never dreamed of: actually sitting in the pressroom the day of the show with the winners coming in to answer questions. I can’t begin to explain the surreal experience and journey from Oscar viewer to journalist. Nothing is planned in my house during the months of January and February. I have to go back to my original 2009 article, where I gave my thoughts on if I were the producer. “Don’t worry about the running time of the show because we know the die-hards will stay until the bitter end.” Many will tune in this year to see the return of host and “saviour” Billy Crystal. Secondly, “…we know historically the ratings have never been stellar. It’s a fact. The year that ‘Titanic’ won was a fluke so stop being concerned with the overnights.” Lastly, go back to the 81st Academy Awards and take a page from the glitz and glamour of that show. I choke back the tears every time I watch any of the clips from that telecast (watch this). We can do without Best Song. Past its prime, the category has become an antiquated category and the subtraction would help with some of the time issues. 1. 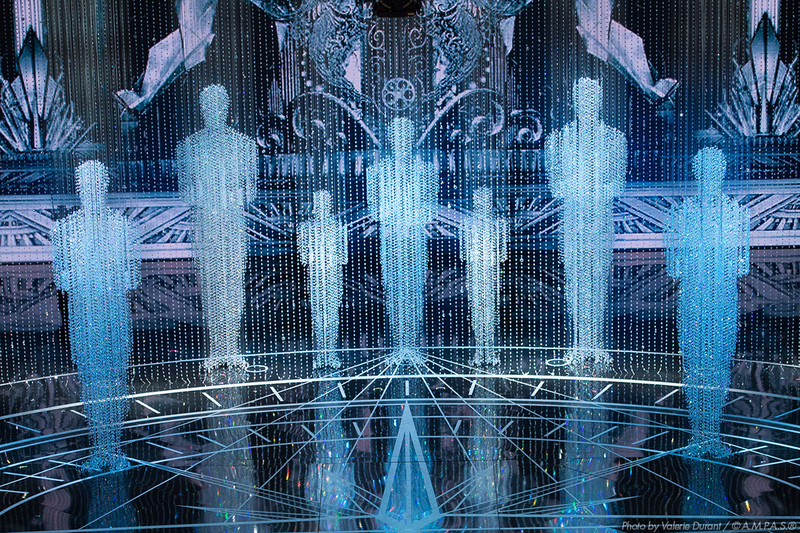 More of a hypothetical — a return of the honorary awards back into the live show. After many years of watching the recipients receiving their due on stage, and what made for some great LIVE TV, it seems as if something is missing. Would like to see it make a comeback. 2. Next year’s show … always! Michelle McCue is Managing Editor/News Director for WeAreMovieGeeks.com, a website with a passion for all things movies. Follow her on Twitter @ohman4. Awesome piece Michelle. Great to learn more about you.